Unique and distinctive, this Alice in Wonderland Alice Lost in the Woods Tray by Avenida Home is designed by artist Louise Kirk. The beautiful illustration brings many of the well loved characters from the children's book to life. The multipurpose tray can be used for serving food, as a decorative piece of wall art or display piece or for putting items like keys, glasses and knick knacks on so you don't lose them. The tray is made from birch wood laminate with a natural birch wood back and has a protective melamine coating. 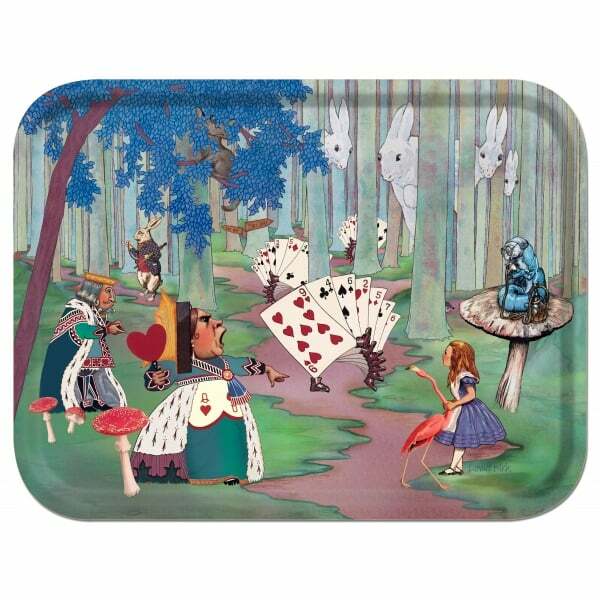 An ideal gift for fans of the story and perfect for themed parties, you can mix and match with other Alice in Wonderland trays, placemats and coasters to make a wonderful and stylish set.